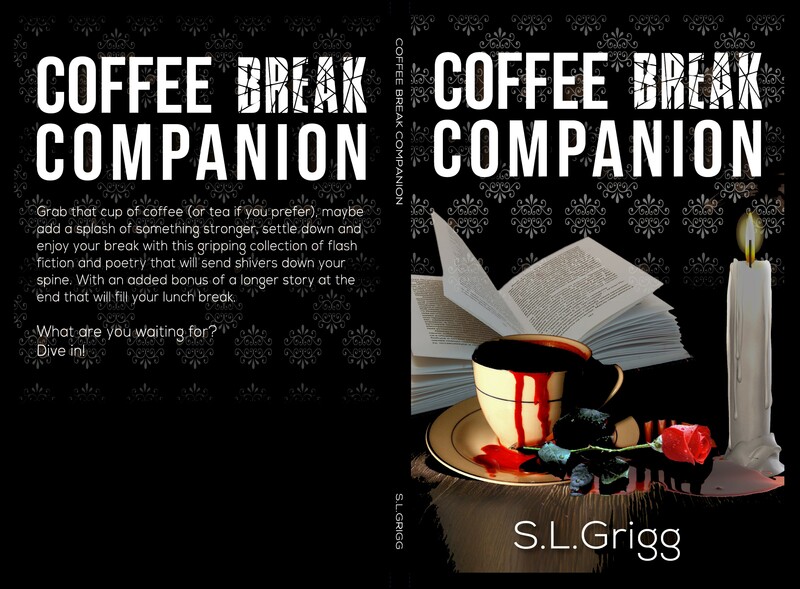 Sharon Grigg, who writes under the pen name S.L Grigg, made it her new year’s resolution to publish her book ‘Coffee Break Companion’ during 2018. After bouncing back from mental health problems (BPD), following the death of her husband from a brain tumour in 2009, Sharon was struck down with kidney and other health problems, believed to be linked to having the Essure sterilisation device she had implanted back in 2008. In September 2017 she underwent major surgery to have a non-functioning hydronephrotic kidney removed at the same time as a full hysterectomy to remove the essure device. Just two months after setting her goal Sharon launched the collection of dark, short stories and poetry on Amazon. Many of the stories were written during Sharon’s battle with mental health. Coffee Break Companion is ideal for dipping into whilst on your lunch break. Blurb – Grab that cup of coffee (or tea if you prefer), maybe add a splash of something stronger, settle down and enjoy your break with this gripping collection of flash fiction and poetry that will send shivers down your spine. With an added bonus of a longer story at the end that will fill your lunch break. What are you waiting for? Dive in! Everything from a discovery in an Ice Cavern, to a tornado. Mermaids, and Dragons. Mystery and Horror. This collection of flash fiction and poetry has something to capture anyone’s imagination, with a final chilling thriller that will leave you gasping for air. Includes scenes some readers may find disturbing.